I wrote this story for the Miami Herald. It was published on June 6, 1988. 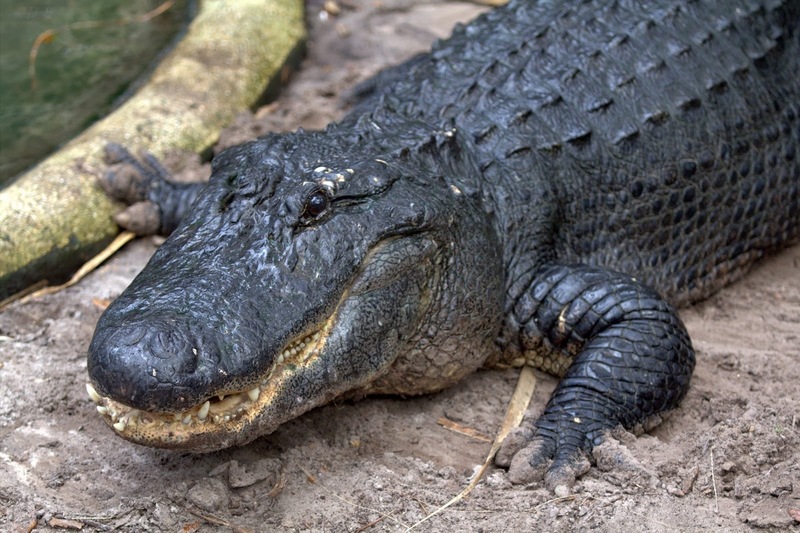 ENGLEWOOD, Fla. – Wildlife officers recovered the body of a 4-year-old girl late Saturday night after a 10-foot 7-inch alligator snatched her from the edge of a pond, dragged her underwater and chewed off her leg. Erin Glover, a bright, blue-eyed blond nicknamed “Gizmo,” and two other children were walking a Labrador puppy at 6:30 p.m. Saturday when the alligator attacked. “The alligator took two bites out of Erin’s stomach,” said Jason Kershanick, 9, who watched from a few feet away. “It splashed up out of the water and got her. The second-grader stopped to catch his breath. When game officers found the alligator more than five hours later, it had the girl in its mouth. The alligator let go of the child only after an officer blasted it with a shotgun at point- blank range. It took two more shotgun blasts and two bullets from a .357-caliber Magnum to kill the 350-pound reptile. Since 1948, there have been 96 unprovoked alligator attacks in Florida, of which six were fatal, said Lt. Jim Farrior of the state game commission. Richard LaTarski, a 64-year-old retiree, said the same alligator that killed Erin roamed the waters of the neighborhood for at least five years, killing ducks and turtles. Commission spokesman Farrior said Sunday that he had no record of LaTarski’s complaint. In any case, he said, wildlife officers don’t seize alligators unless they act aggressively or show that they have no fear of man. On Sunday morning, Erin’s mother, Laurie Bowns, a 26-year- old nursing supervisor, walked dazed and teary-eyed to the site where her daughter’s body was found along the edge of Hidden Lake. Her neighbors in the Gardens of Gulf Cove subdivision had questions, too: Why did the alligator attack a child? And why didn’t the authorities capture it before it became a killer? Debbie Triplett, who lives near the pond, was irked to see that winter residents fed some of the alligators this year. “They think it’s funny to feed the alligators so they can have a pet,” she said. The neighborhood had gotten comfortable with the lake’s gators, even the huge one that attacked Erin — the biggest of about a half-dozen that roam the neighborhood ponds. Mike McClure, 13, said he has seen the chef at a waterside restaurant throw meat to the alligators. Another resident, Patty Scott, said some residents feed them bread and marshmallows. About 6:30 p.m. Saturday, that alligator swam near the south side of the pond as Erin bounded nearby with her brother Justin, 9, and his friend Jason Kershanick. The dog, Shirley, trotted to the edge with Justin and Jason close behind. The two boys heard a splash and turned around. Erin, who had been playfully kicking at the water, was suddenly on the ground, struggling. Kershanick, 36, grabbed his pistol, went to the pond and saw the alligator in the distance. But he lost sight of it before he could get through the heavy underbrush along the water’s edge. Another neighbor, George Shreve, 31, said he heard Erin’s mother yelling, “Oh, my baby!” and ran outside. Shreve said he immediately knew what had happened because the same alligator had lunged at him and his dog, Lucky, on Saturday. “It scared the hell out of me,” he said. Shreve hopped into a boat with a neighbor. The neighbor aimed a rifle at the alligator, but he didn’t fire because he was worried about hitting the girl. Charlotte County deputies arrived and began searching. Later, after dark, state Game and Fresh Water Fish officers boarded a boat and used headlights. 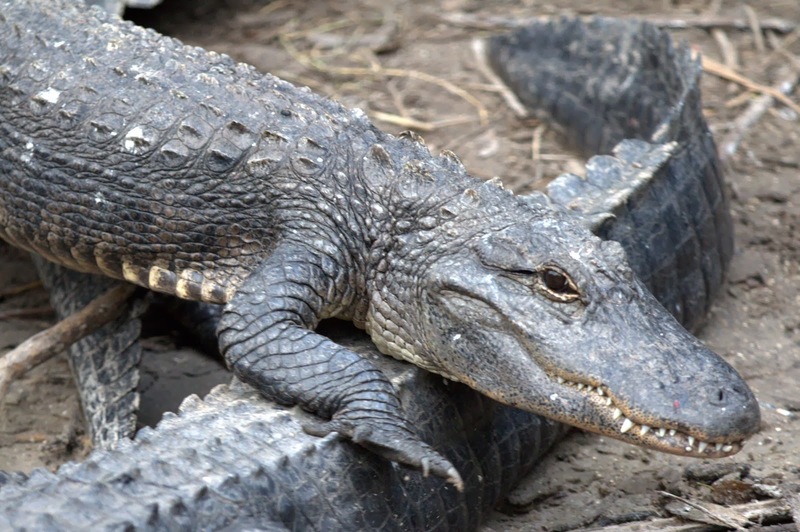 They found and killed the alligator at 11:50 p.m.
Herald staff writer Frank Cerabino contributed to this report.